The New Year has arrived and along with it a list of resolutions. It’s brought a serious dose of winter reality to many locales. Living in snow and ice is one thing, but playing in it has a completely different effect on the psyche. Ice and snow have a brighter, almost cheerful side, but when you’re cold, it’s just sometimes hard to see. When used as the building blocks to create an ice hotel, that sparkle is hard to miss. But is that sparkle enough to keep you warm at night? 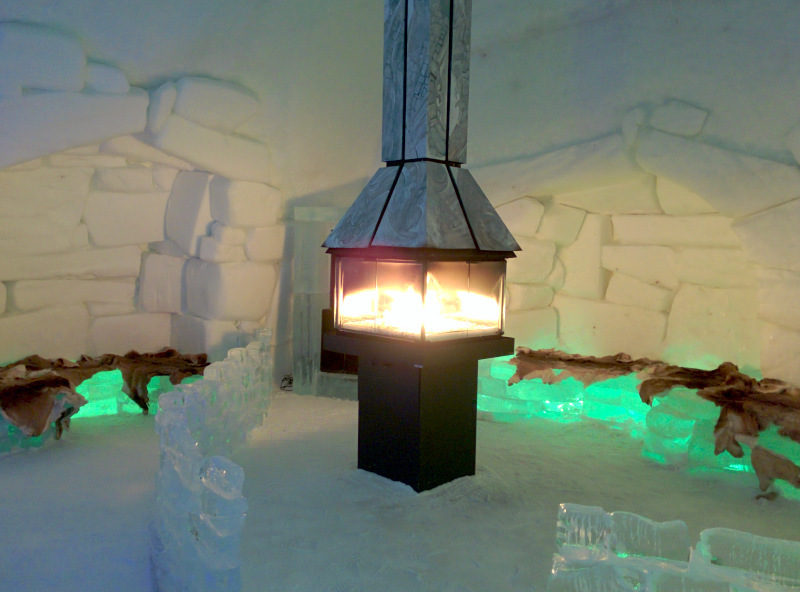 A night at Hôtel de Glace is a cross it off the bucket list type of adventure, but it’s not for the faint of heart or the weary and frightened of cold. As I boarded the flight to Québec City, seriously, I still didn’t know if I had it in me. My back-up plan, call a taxi and just head with my credit card to the closest hotel with heat. It was dark, windy and temperatures were in negative digits when I arrived, but once you lay eyes on the place, there’s no turning back. five hundred tons of ice and thirty-thousand tons of snow have magnet-like qualities. 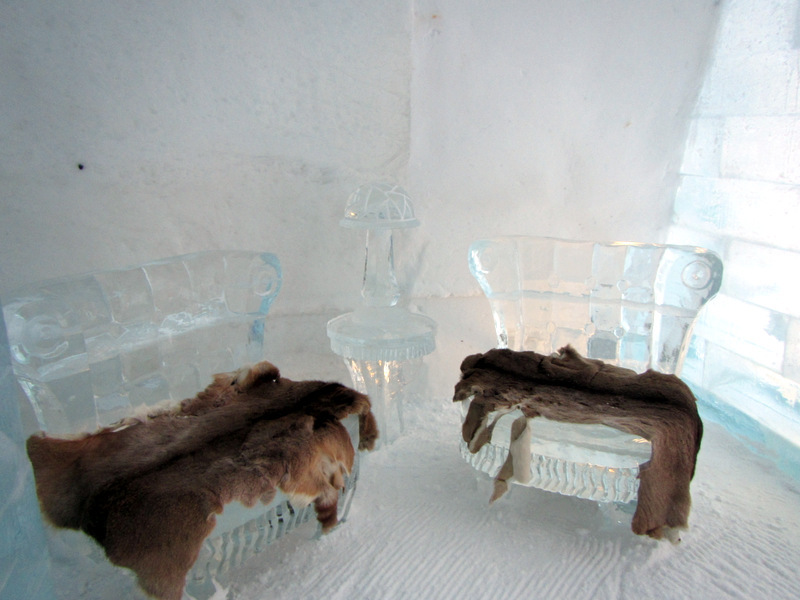 Hôtel de Glace has forty-four rooms and suites, but it isn’t the type of place where you turn in early. 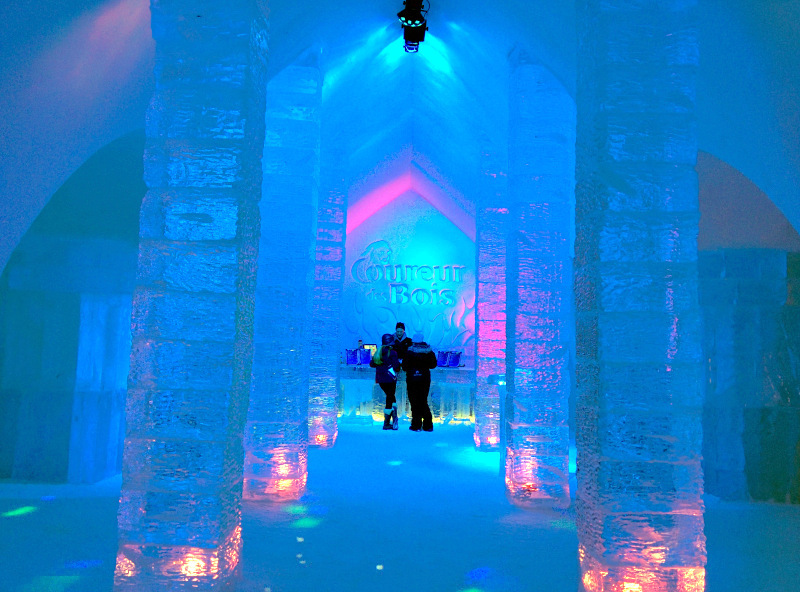 The ice bar can hold four hundred people, and evening entertainment often includes ice sculpting lessons. Cocktails are served in crystal clear glasses made of ice. 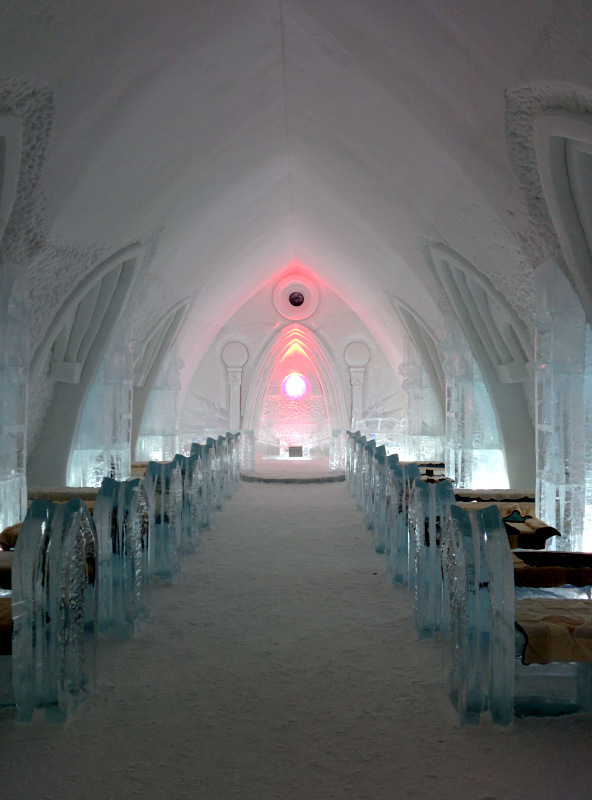 There’s an indoor Ice Slide open around the clock, and even an ice chapel. Outdoor hot tubs and sauna are popular places to warm up, but heat can also be found in the Celsius Pavilion. Housed in a real structure, made of building blocks that don’t melt, the Celsius Pavilion essentially serves as the hotel lobby. With a coffee machine, bathrooms, Wi-Fi and plenty of couches, there’s always a heat-seeking crowd hanging out. At some point, all guests attend a “how to make it through the night” briefing. Curling up in your chilly quarters, an average temperature of 23ᴼ to 27ᴼ F takes some work. Beds are made of ice, topped with a wooden frame, then comes the mattress part. Wearing just enough, but not too much, and getting into the heavy duty Nordic sleeping bag without, well, touching anything, is key. Doing it quickly and having a few hand warmers that can be strategically placed, in my experience, aren’t such bad ideas either. I understand, and so do the folks at Hôtel de Glace. If you don’t want to spend the night, you can still visit. On the Behind the Scenes tour, guests learn how the ice hotel was built and make their own ice glass in an ice workshop. 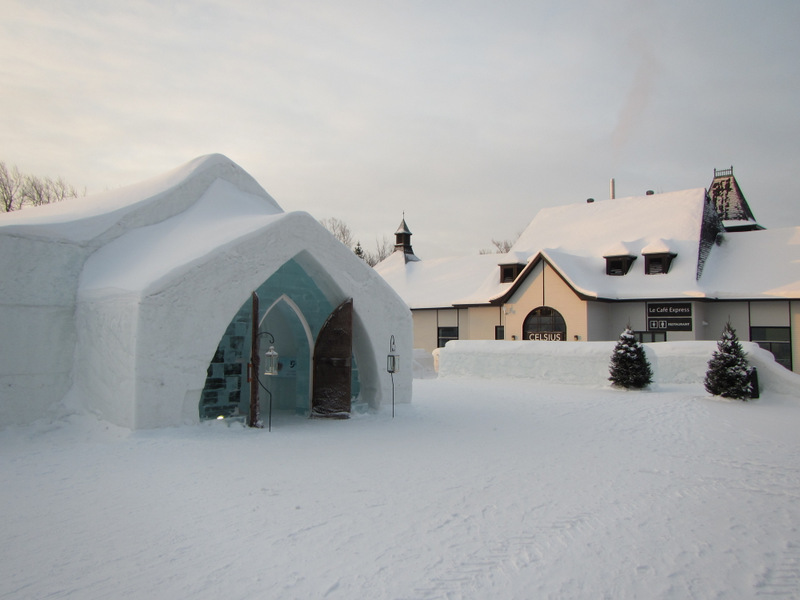 It’s been fifteen years since Hôtel de Glace opened its snowy doors. More than a million people have visited, and more than forty-nine thousand guests have called it a night. Come spring, well, you can pretty much guess what happens come spring. 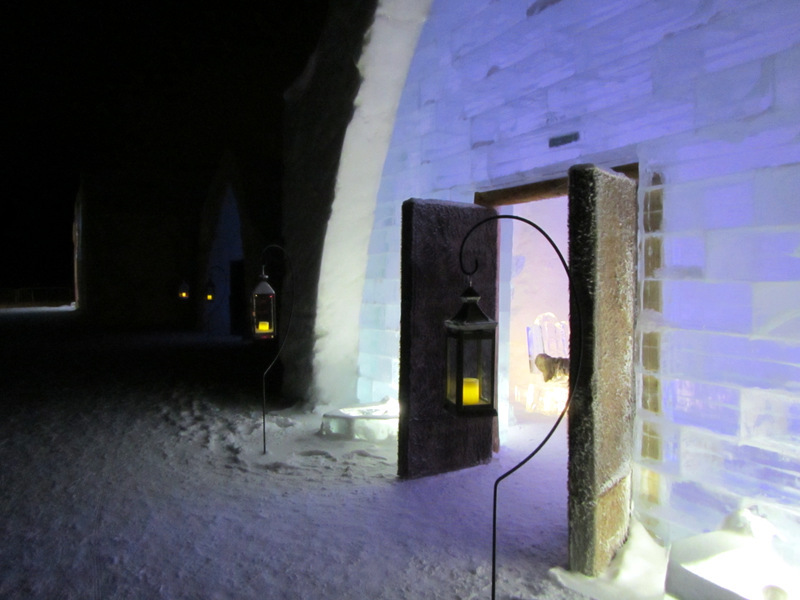 Every winter, the Hôtel de Glace is constructed from scratch. Building typically begins in early December, when temperatures stay below zero for a week. Closing weekend 2015 is set for March 21st. Dana’s trip to Quebec was sponsored by Tourisme Québec, but as always her thoughts and opinions are her own.